Features: - Specially Formulated. Midwest Hearth vermiculite is formulated for use in vented gas log set fireplaces utilizing propane gas. - Added Realism. Distributes heavier propane gas throughout the entire burner pan for a fuller flame effect. - Adds Sparkle and Shine. The mica-like flakes add sparkle and shine to the fireplace for additional effect. 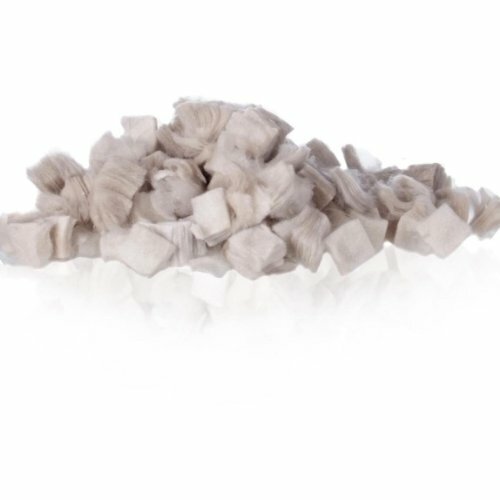 Safety: ✔ This high-quality exfoliated vermiculite is 100 percent asbestos free and does not contribute to carbon monoxide or oxygen depletion. 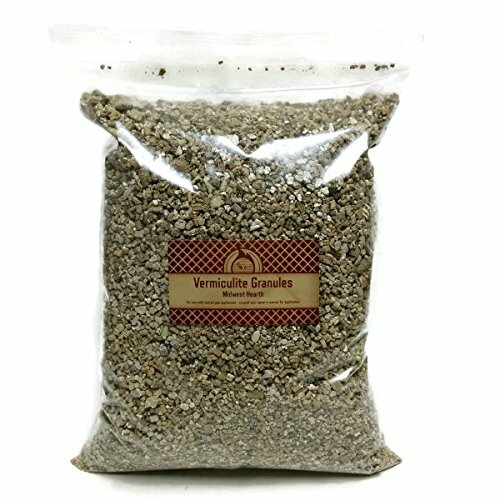 ✔ Midwest Hearth vermiculite is lightweight, incombustible, compressible, highly absorbent, and non-reactive. Compatibility: - Vented or Unvented fireplaces - Natural Gas (NG) or Propane (LP) fireplaces Installation: - Always refer to your appliance's owner's manual for accurate placement instructions. 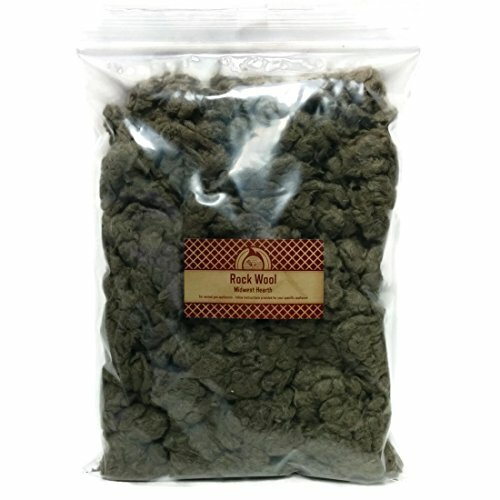 - Fill the burner pan completely with the vermiculite. Avoid spilling on the pilot assembly. 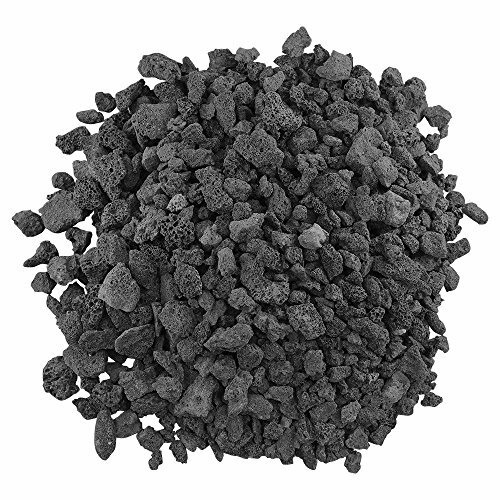 - Do not place vermiculite on other parts of the burner or heat shield. - Slope the vermiculite at the same angle as the burner pan to aid in even flame distribution. Included: - Packaged in a generous 9"x12" bag - 12 ounces. 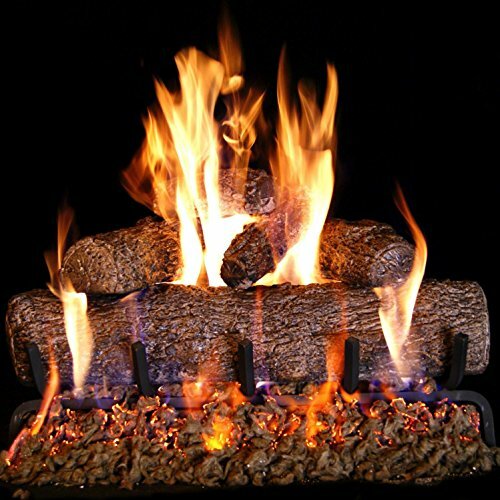 Peterson Real Fyre 24-Inch Live Oak Log Set With Vented Burner, Natural Gas Only. 64-YE. Vented Gas Logs. 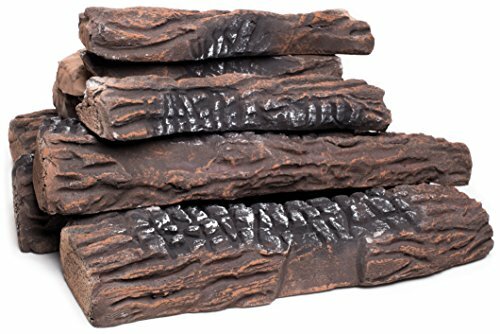 The outstanding craftsmanship of Real Fyre captures tradition and quality with the natural realism of the 24-inch Live Oak log set. The hand painted details are modeled from real world samples, and the high definition bark enhances the natural wood look. The logs are crafted from superior refractory ceramics which provide radiant heat even after the burner has been turned off. Each log has a steel rod insert for maximum reinforcement, and the vented design means they burn efficiently to reduce pollution and protect natural resources. Set Includes: 6 Gas Logs, Sand, Embers, Custom Grate, and Burner. Burner Output: 75,000 BTUs. 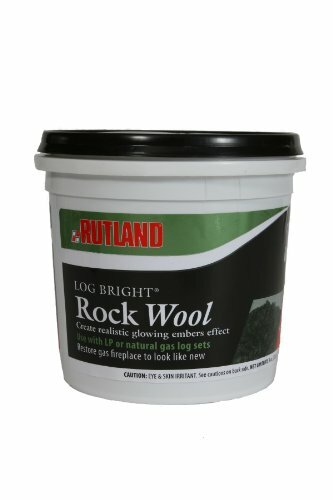 Midwest Hearth Rock Wool for Gas Log - 6 oz. Features: - Provides an amazing glow when added to a gas fireplace or gas log set. - Creates realism to your fire. - Hides burner pan. 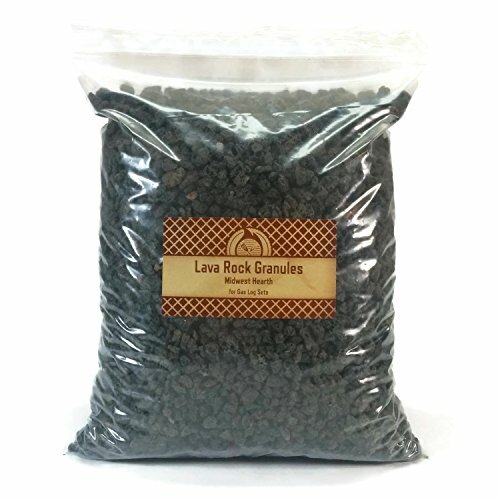 - Can be used with lava rock for added realism. - Lasts for years. Compatibility: ✔ Gas Fireplaces ✔ Gas Log Sets ✔ Natural Gas ✔ Propane ✔ Vented ✔ Unvented (use according to appliance instructions) Installation: - Simply pinch small clumps and place near gas ports on burner pan. - Place small amounts on logs where the flames "lick" the logs for ember effects. - Many installers use a stiff bristle brush to "flick" a dusting of wool material on a log to add additional glowing effects where the flames touch. - Hint! You can lightly spritz a log with water to help the wool stick to the log in the area where the flame will touch. Quantity: - Comes in a generous 9" x 12" bag-full (approx 6-oz) that should be enough to dress up an entire fireplace. 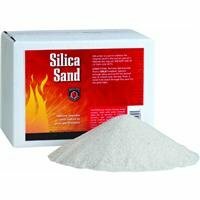 Silica sand is used in the bottom of the burn pan of VENTED NATURAL GAS log sets. The gas is dispursed though the sand spreading it around before it is ignited. This gives you more flame action in your gas logs. Replace the sand every few years to keep your flames dancing. DO NOT USE WITH LP LOG SETS. Looking for more Gas Log Accessories similar ideas? Try to explore these searches: Rubber Curry Comb, Dodge Charger Daytona Hemi, and 1 8 Rc Buggy. Look at latest related video about Gas Log Accessories. Shopwizion.com is the smartest way for online shopping: compare prices of leading online shops for best deals around the web. Don't miss TOP Gas Log Accessories deals, updated daily.